With another year in the rearview, now is the time when companies will be reaching out to their clients and/or users to ask for feedback. 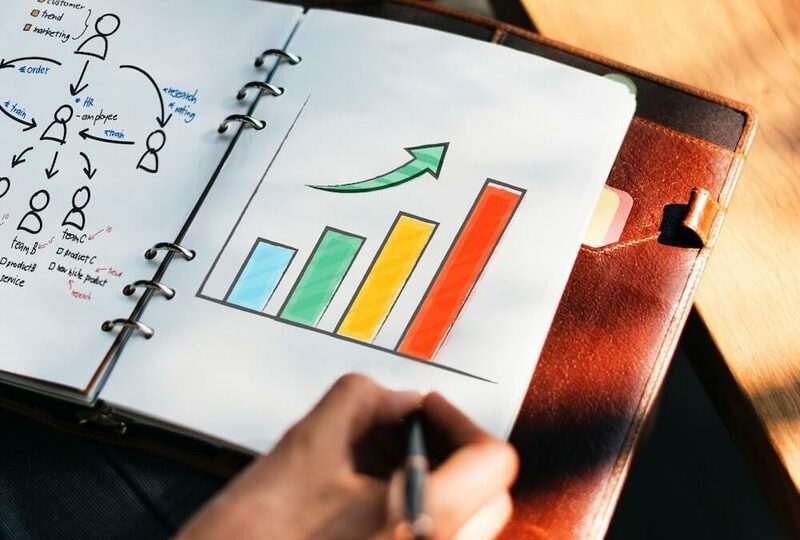 Everyone knows that manually reading survey responses is so 2018 (ok, kidding, much much before that), so we’ve searched high and low to find you a simple way to build a great survey and automate your survey results. 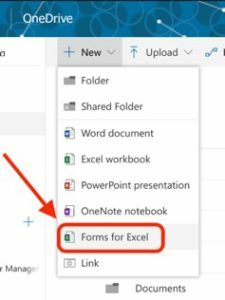 There are a multitude of options, but we landed on using Microsoft Excel Forms and Power BI. There are many benefits to this method, including an automatic data refresh every hour. 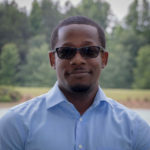 So, without further ado, let me show you how to build and run your survey. 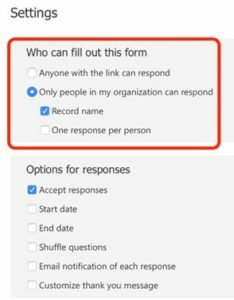 Give your survey a name. Perhaps, “2018 Client Survey.” Once it’s saved, add your survey questions and configure your survey as you see fit. This part should be the most intuitive – and most specific to your business – so we’ll leave it to you. Once that’s done, you can share your link with anyone. As people submit their responses, the data will be collected in the base file. 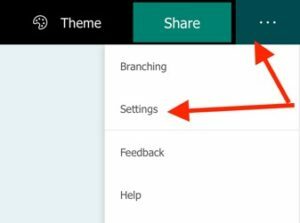 Once you’re satisfied with your survey theme style and questions, let’s switch over to Power BI. And you’re done! 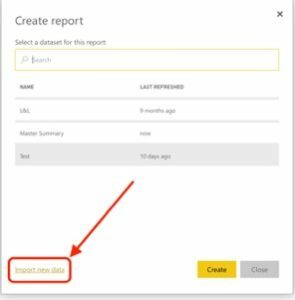 As users respond to your survey, data will be captured and automatically refreshed into your PowerBI report. 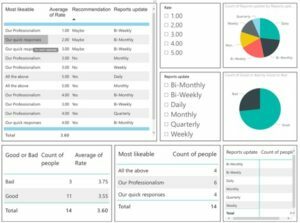 Armed with your survey results in PowerBI, simply customize your report as you see fit and enjoy. Want to add some better data visualizations to your survey results? Check out our article on custom data visualizations. Not sure how to share the survey results with your manager? 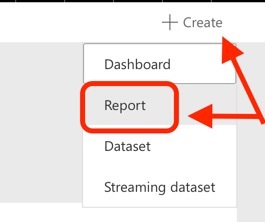 Here’s how to share reports in PowerBI. 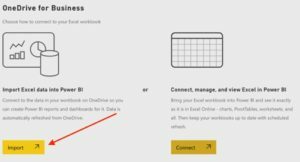 New to PowerBI? Check out our Power BI Best Practices blog to get yourself moving faster. Thanks for reading! We hope you found this blog post to be useful. Do let us know if you have any questions or topic ideas related to BI, analytics, the cloud, machine learning, SQL Server, (Star Wars), or anything else of the like that you’d like us to write about. Simply leave us a comment below, and we’ll see what we can do!